Aaahhh, sound. It’s one of those things you don’t really think about – until it’s bad. From your favorite movie, to jamming to your best tunes, to chatting with your buddies online, crystal clear sound can make all the difference. But there are so many things that can interfere. Too much background noise can be distracting, tinny sound can mean the difference between a kill or a win when gaming gets intense, and clarity is a must when streaming or podcasting. All of those things and more make investing in a quality headset well worth the price of admission. There are many elements that go into making just the right headset. Style is important to a lot of people, for one thing. And if you’re the type who likes to take your sound on the go, portability and durability are a must. If you work, or play, or commute in a busy environment, noise cancelling abilities can be invaluable in drowning out the background noise to help you focus. And finally, high quality sound is an absolute must, for any headset. That’s a tall order, and few headsets manage to hit all of those notes at the same time. In terms of style, M-100’s have got it going on. The outer portion of the earcups are coated in an edgy brushed metal, with black leatherette lining the cups themselves. The headband is made of softly padded fabric, with stitched accents in red adding subtle style. Black metal brackets attach the earcups to the headband, and they are hinged for easy folding. The whole headset folds up compactly to fit inside the included hard shell carrying case, making them easy on the eyes and easy to carry too. 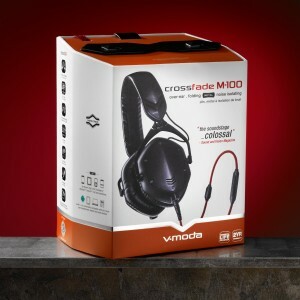 As far as comfort goes, the Crossfade M-100’s rank pretty high in that area as well. The headband feels sufficiently soft against the top of the head, but fits snugly enough that you don’t have to worry about slippage. If you have a larger than average head (or just prefer things a bit roomy), you may find that the default ear cups run a bit small for your taste. That is easily fixed, though, as the M-100’s have a number of available accessories, making it simple to customize them to your preference. Adding extra large memory foam ear cups makes for added comfort and depth that will keep ears of all sizes happy. Another useful accessory that is available for the M-100 headset is the BoomPro mic. 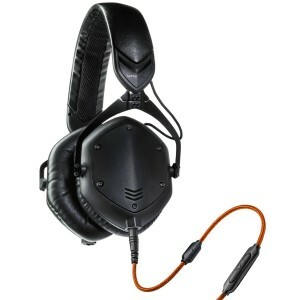 This turns a nice set of headphones into a fully functional headset, perfect for gaming, Skyping, podcasting, streaming, or anything else that strikes your fancy. Simply plug the mic into the bottom of the earcup, and you’re good to go. The BoomPro mic has a fully flexible arm that has enough length to ensure a good fit for all face types, and a crystal clear sound that makes sure your every word is heard. Because it is just as easily removed, you can go from gaming headset to music gear in seconds. All of those features provide a lot of benefit to consumers, but we all know that the highest priority for most headset purchasers is quality sound. With 50mm Dual Diaphragm Drivers, they provide ultra clear clarity to bass, and crystal clear tones at all ranges – a necessary feature for audiophiles of all sorts. The noise isolating features of the headphones nicely cancel out the residual background noise that can detract from your audio experience. From shredding to heavy metal to chilling out with some Beethoven, they do great justice to all brands of sound. 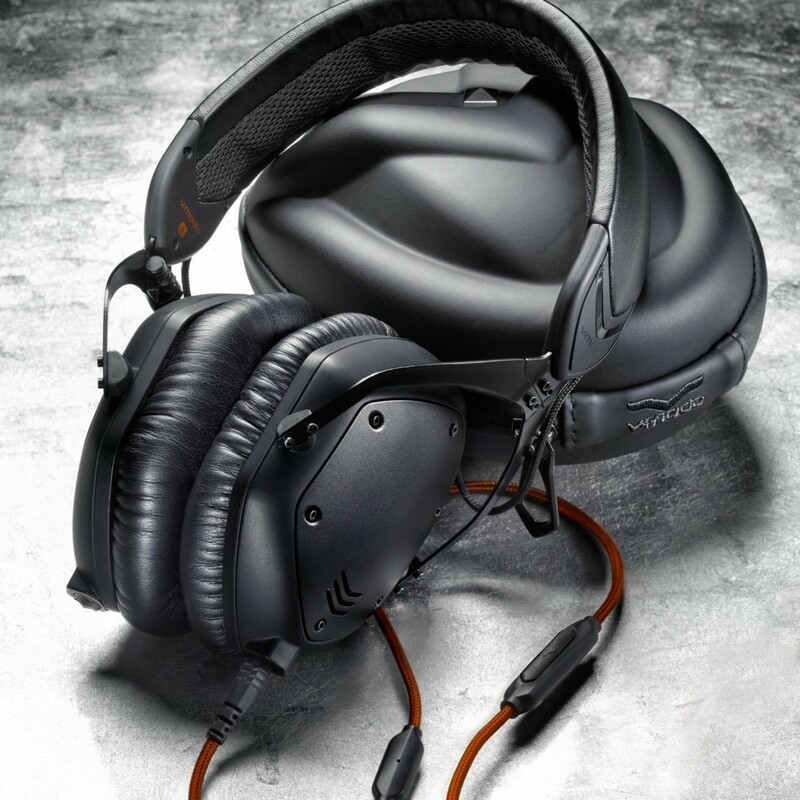 The M-100 headset from V-MODA has everything you want (and need) in a quality headset. With exceptional sound, high quality construction, and high comfort, they serve well for everything from appreciating your music to Skyping your grandma. They are portable and customizable, making it easy to perfect them to your tastes without giving up the features you need. Though you will have to shell out a hefty initial investment, the VMODA M-100’s are worth every penny.